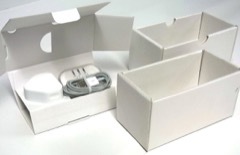 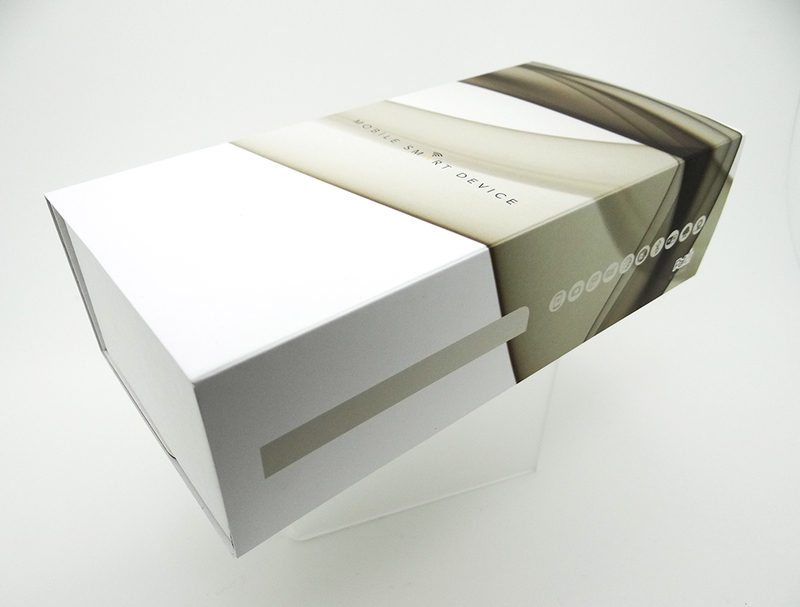 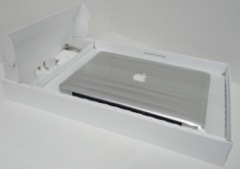 A robust retail box for Apple iPhone 5 and iPhone SE with Pure White inner and outer surfaces. 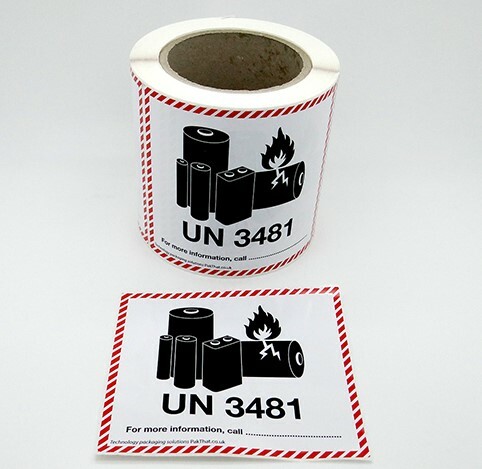 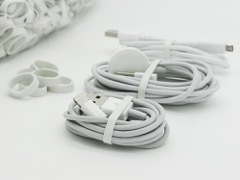 Suitable for Apple iPhone 5, iPhone 5c, iPhone 5s & iPhone SE. 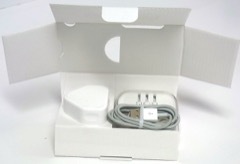 Accepts mains charger, cables and accessory wallet. 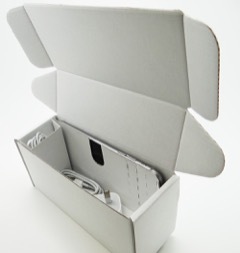 Unique flat-pack style for easy, cost effective storage - can also be supplied pre-assembled. 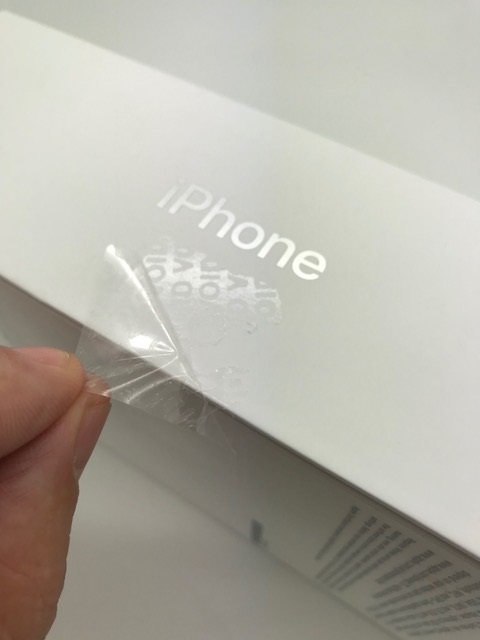 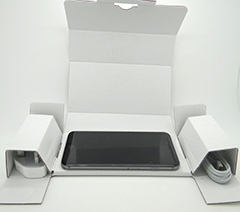 Outer dimensions are similar to OEM Apple iPhone 5, iPhone SE box. 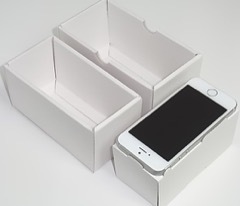 The only legal iPhone box in the UK today. 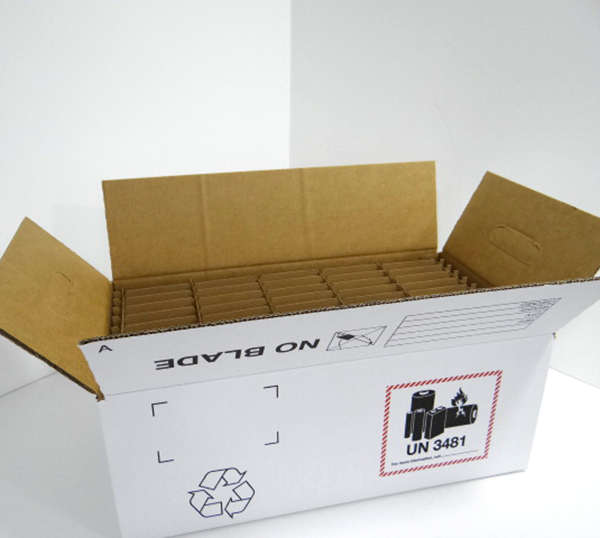 Please note: prices below are for iBox delivered flat-pack, not preassembled.